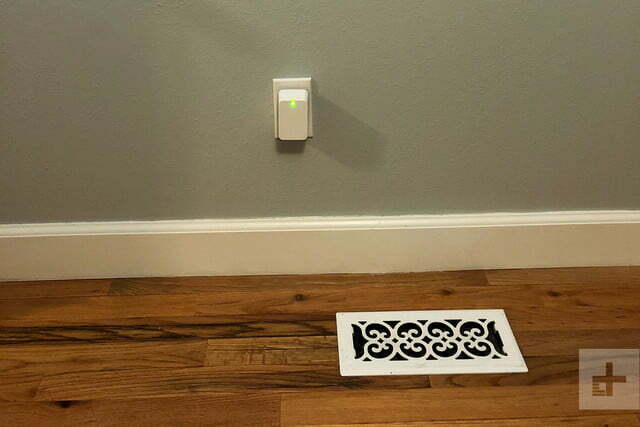 The versatile Notion Sensor can keep tabs on everything, from room temperature to water leaks. The promise of the smart home has been a carrot dangling in front of tech-oriented consumers for some time. And as intelligent as the gear has become, some people don’t feel any closer to having a truly “smart” home than they did years ago. One reason for that is a genuine lack of data being generated in the house. Products like the Notion Sensor Starter Kit could change this. 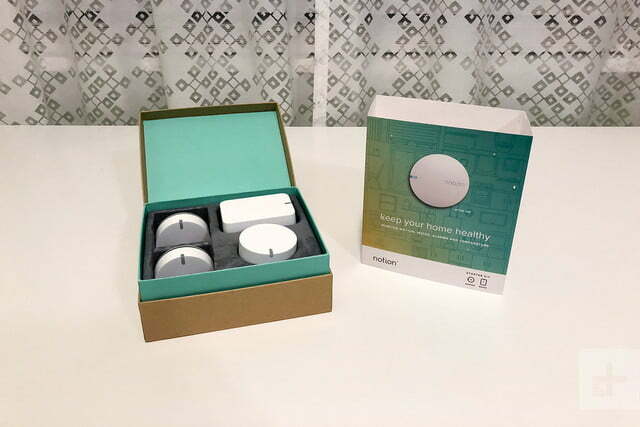 A small plug-in hub with several remote sensors (three for $219 or five for $299), Notion can tell the temperature, monitor for water leaks, detect door and window movement, and listen for smoke alarms, all from the same device. It’s a versatile system that’s very easy to set up, and could provide you with data about your home in no time. But is that enough to make it truly smart? Getting the Notion starter kit up and running went smoothly for the most part. Unpacking the starter kit was simple and straightforward, as was downloading the app from the Apple App Store. The Notion is also Android compatible, but this review was only conducted in iOS. 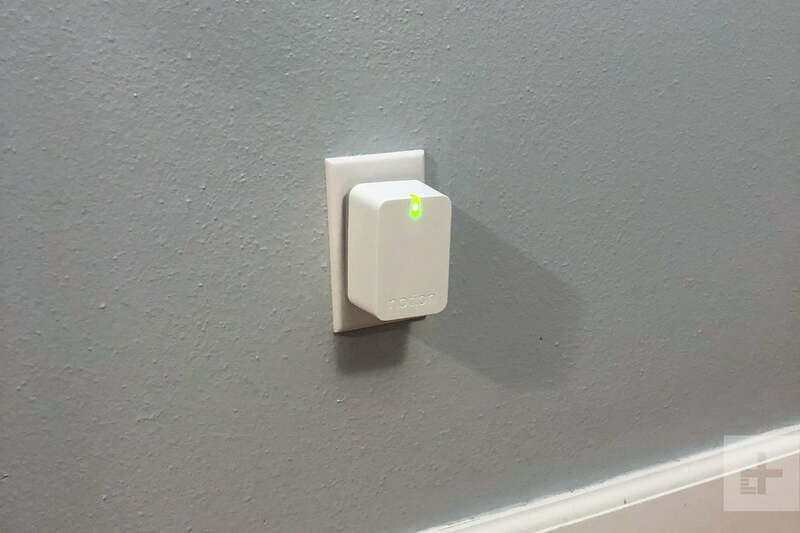 After setting up our account and plugging the base station into the wall, the device connected to our Wi-Fi network with ease — something not every smart home gadget can brag about. It’s a versatile system that’s very easy to set up, and could flood your home with data in no time. To wake up the sensor, first you remove the bit of plastic that keeps the battery from activating, and then you knock twice on the device to wake it up. This unique user interface didn’t work right away, and we found ourselves banging on one of the sensors fairly hard until its light started flashing. But all of them activated, eventually. We placed the first of the three Notion sensors in our test garage because we wanted to test the base station’s range. Sadly, we were disappointed. To maximize the base station’s reach, we plugged it into our home’s second story, and though it had a relatively straight, 50-foot shot to the sensor, for whatever reason it wouldn’t connect. 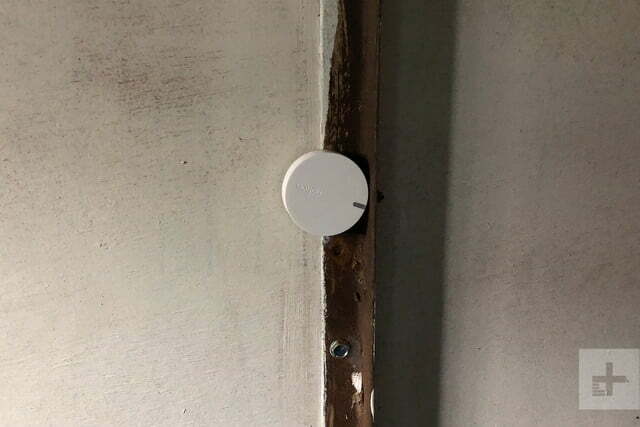 So, to give the base station a better chance, we re-installed it on the interior wall of our house closest to the garage, and it ultimately connected without an issue. After knocking to wake the sensor, you’re given an array of tasks you can assign to it, everything from detecting open and closed doors, sliders, or windows, smoke alarms, and water leaks. Our garage door — a single panel spring-lift, swing door —doesn’t work with newer, internet-connected door openers, so we were nervous about trying out the Notion on it. Would it detect the swing motion as well as a lift or rolling motion? Thankfully it did alert us when the door was up. 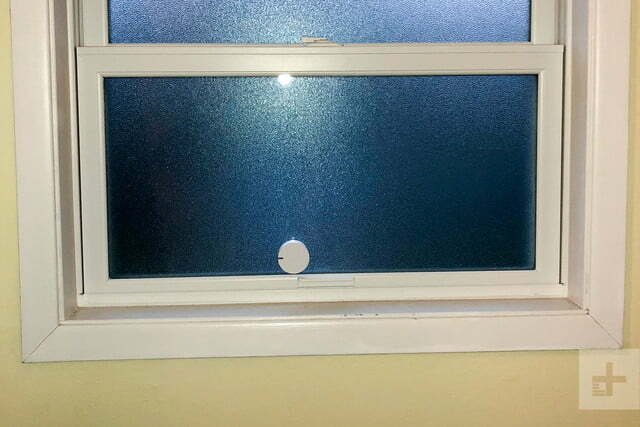 Next up came the Notion sensor we put on the bathroom window. Smart homes currently aren’t intelligent enough to halt the air conditioner when a window is open, but devices like Notion can hopefully get it there one day soon. Notion works with Nest, which lets it work as a remote temperature sensor for the Learning Thermostat. It also works with the Ecobe line. We have an Ecobee in our test house, so we set up the Notion as both a window and a temperature sensor, letting it detect both when the bathroom was airing out as well as how warm or cold it had gotten. As an open/close sensor, the Notion doesn’t perform as well as contact-based sensors because technically they only detect movement. Because of their all-in-one design, there are drawbacks. For instance, if it didn’t detect a door or window opening (which only happened once or twice) then it would be wrong about your portal’s status the next time it detected movement. Contact sensors are either touching or not, so they know if a door or window is open or closed. One reason that Notion might miss a door or window opening would be if the system’s connection to Wi-Fi was interrupted. We mention this, but Notion had no trouble staying connected beyond the distance issue described earlier. While reviewing the product, we turned down our heat when we went out of town. Unfortunately that was the same time our Wi-Fi router decided to get wonky, and our entire home was intermittently on- and offline. But when Notion reconnected to our wireless network, it dashed off an alert that the temperature in our home was very low, demonstrating how committed the system was to alerting us. We set up the third sensor to detect water leaks, leaving it on the bathroom floor by the shower to ensure we’d catch some . Notion performed that task without a hitch when less than an eighth of an inch of water enveloped its bottom. The sensor quickly dashed off an alert to the Notion app, demonstrating its versatility in full. The Notion app itself is fairly pedestrian and does a good job of organizing all the sensors and their tasks. Listing the status of each sensor right on the app’s main page, it doesn’t make users wander too far to find the information they want most. There’s not much in the way of integrations with other smart home systems like HomeKit, Wink, or SmartThings, though Notion does take part in Google’s Work With Nest API, which lets the sensors serve as remote temperature sensors for the thermostat. But all of that is handled through Nest’s app. One minor complaint about Notion is about its LED status lights. The app doesn’t allow the user to toggle them on or off, and they are unnecessarily large and bright. At night, the base station can light up a dark room, and during our Wi-Fi struggles, the LED flashing due to the Internet going offline made it feel like we were sleeping on the Las Vegas strip. The sensors themselves periodically flashed, too. It can be quite annoying in the wrong setting. For instance, having temperature data where previously there was none could help save money when it comes to home heating and cooling. And knowing if a door or window is open is also helpful from a security perspective. There are a lot of products on the market that perform the same functions as the Notion, but few — if any — can do it all. 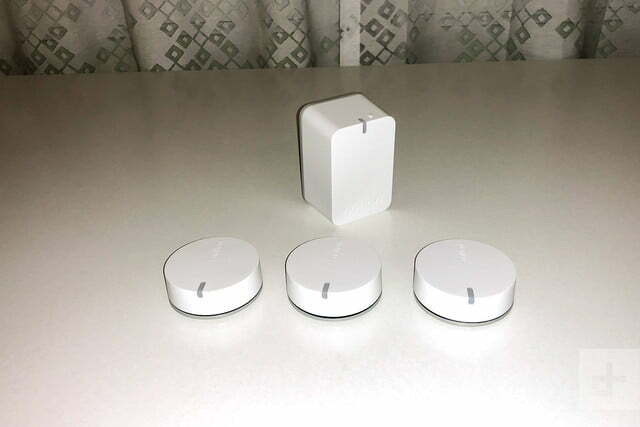 Because the Notion lacks Apple HomeKit integration, iPhone addicts would be advised to look into the Elgato Eve line of sensors, which can integrate seamlessly with iOS. Because of Android’s open nature, there are many more suitors on that operating system, but Samsung probably makes the most comprehensive offering with its SmartThings line. Simplisafe also can detect a lot of the same things as Sense, but the product is more expensive, comes with 24/7 alarm monitoring, and costs $15 per month after you buy their gear. It’s tough to say how good of an investment Notion is right now. On one hand, the sensors performed well — even in the cold reaches of the garage. Yet how kind will the seasons be to its plastic shell? What is the corrosive effect of water on a flood sensor? It’s hard to say with such a new product. And, as with any startup, it’s possible Notion will be gobbled by Google — or another competitor — should it find success. You won’t find another all-in-one product like the Notion starter kit. You can buy motion sensors alone or as part of a home security system, and you can buy an air monitor or water leak detector as separate devices, but there aren’t any options that aggregate all the data from multiple gadgets and meld them into one platform. That’s the beauty of this product. If you want solid connected home smarts without having to buy a bunch of separate gadgets, Notion is the right choice for you.